Since we got our panini maker/press last year, I've been experimenting with all kinds of panini combinations. A few months ago, I went on a Reuben craze. I could. not. get. enough of them. So, our panini maker worked overtime as I made Reuben after Reuben and consumed an insane amount of corned beef. With St. Patrick's Day comin' up, I'm about to start making them all over, again. 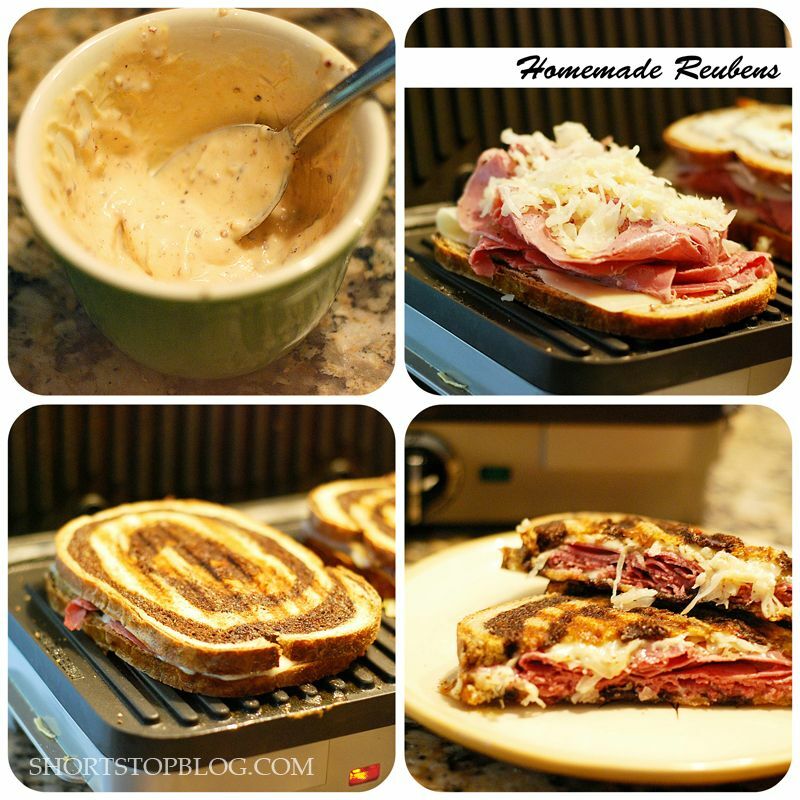 Because corned beef will be on sale and I love me a Homemade Reuben. So I figured this would be a good time to finally share the photos I took a few months ago. Pumpernickel and Rye Swirl bread. Very thinly sliced corned beef. I love this sauce. Not out of a bottle dressing. No preservatives. Just mixing a few ingredients in a small bowl. 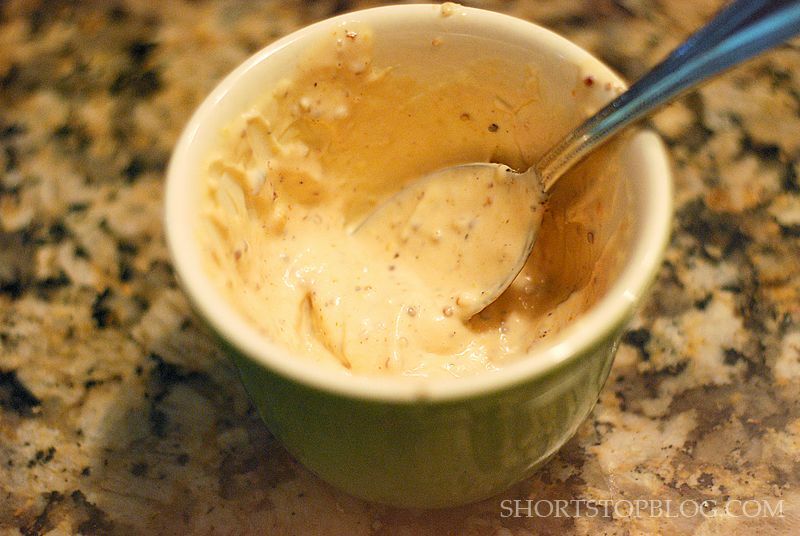 The coarse brown mustard in this sauce gives it that extra something than traditional Thousand Island or Russian dressing and is a perfect complement to the corned beef. Sauce on the bread. 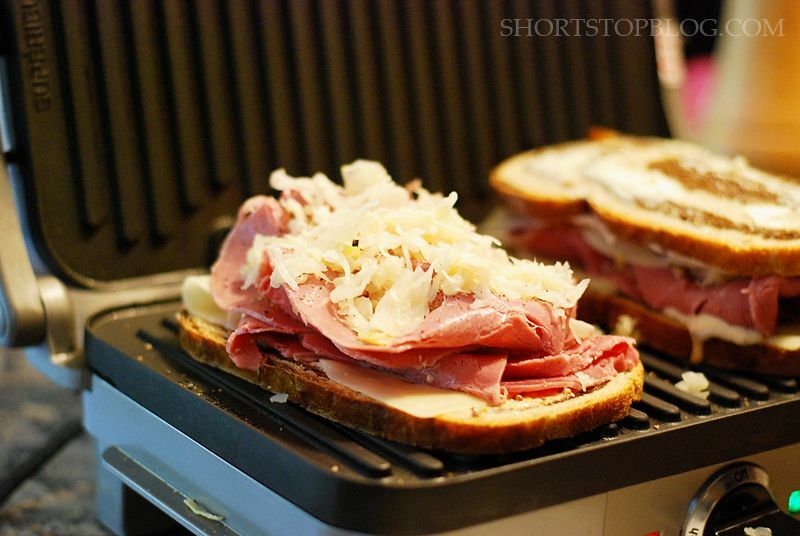 Top with cheese, corned beef, and sauerkraut. We use our panini press, but you can make these right on the stovetop, too. No panini press necessary. 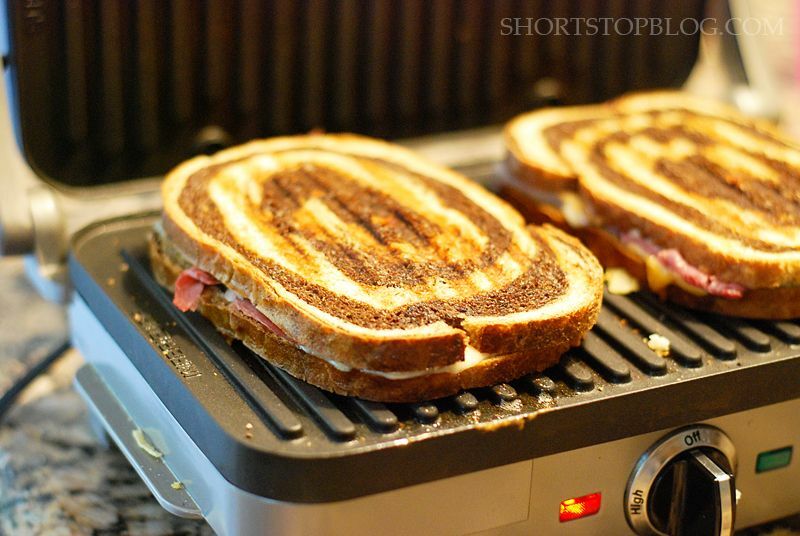 But, I love the grill marks and crunchiness that you get from a panini press. And, you don't have to use much fat. You can stuff these as full as you'd like. I like a smaller panini because I'm a bit of a carb freak and love to really taste the bread - especially this pump and rye swirl. But, you make them however you like. And, perfect St. Paddy's Day grub. Butter one side of four slices of bread and place them (buttered-side-down) on a preheated fry pan, griddle, or panini press. 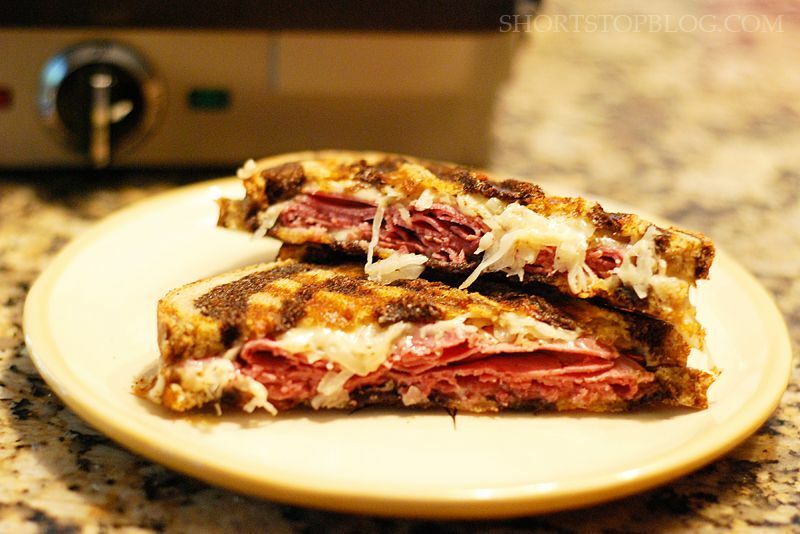 Top bread slices with homemade dressing, several slices of corned beef, sauerkraut, and another slice of cheese. Spread dressing on remaining slices of bread and place on top - dressing side down. Butter the tops of each slice of bread. If using fry pan or griddle, cook on one side until golden brown on bottom then flip over. Continue to cook until cheese is melted and sandwich is warm throughout. If using a panini press, cook until cheese has melted and sandwich is warm throughout. Serve with french fries or chips and coleslaw.